So today I want to share what happened in a last few weeks. I keep exploring the city and I’ve been once outside when Linda from my home-stay took me for a trip to place of her birth and favorite places on the other side of Nova Scotia. 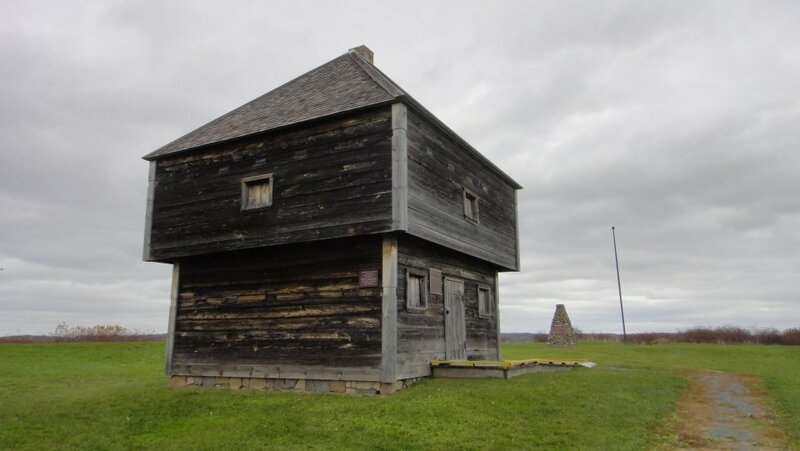 On our way there we stopped at Windsor where I discovered the oldest staying blockhouse in North America – Fort Edward. While walking around the Halifax last week I stop by Halifax Citadel where they had at that moment some exhibition related to Victorian Christmas and eve though it was chilly weather at that day there was many families. For me I found more interesting the normal exhibition about city and Citadel history. I had discovered that really close to house where I’m staying right now is nice park around two lakes and those are connected by Shubenacadie channel which goes through the whole peninsula and was built before the railroads took over good transportation. 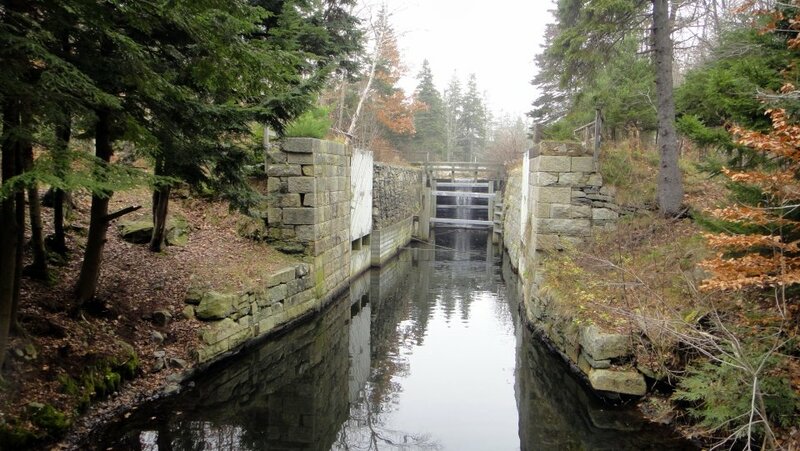 It’s system of connected lakes and locks which is now not working any more however, you can see what they build here to make transportation easier and it’s nice proof of their engineering and builders skills. And you still can get a kayak and make the whole path from Halifax Harbor to the north just on a boat while you need to carry it around the locks ans few other places. And now some practical informations as I learned by experience it’s good to have a credit card because without that one is hard to borrow a car or pay in some places and so on and if you want to stay here longer it’s good to have one to build your credit history as it’s when you are using it well you are building good credit history which will make easier for you to rent a place, get mortgage or any other kind of lend for any purpose. I wanted to make things easier so I asked in my bank but there I could get just secured card which means they hold in my account money which will be used as my credit card limit. My colleagues told me that you could get one from President Choice where shouldn’t be hard to have normal not secured variant and you can probably get a credit card nearly in any mall but I prefer to have those controlled form one place. Finally I bought a car to be able to discover more and further during my free time. 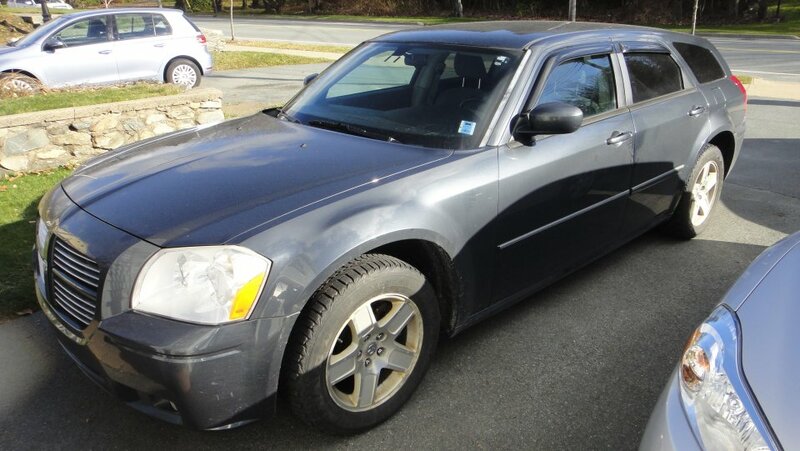 I decided for Dodge Magnum SXT model from 2007 with 3.5L V6 engine and automatic transmission. This should be a great car for any traveling and all those planned activities for coming months. What I found harder here in Nova Scotia is to find a company which will insure the car since I do not have yet a Canadian driving license and at the end the cheapest one I found is for $1,400 a year because this is my very first car. Anyway this car is really nice and according to all reviews I found on the Internet it should be reliable and fun to ride. On the following picture you can see how ti looks like.